Dublin, like many cities, has the benefit of being sited on a river by the sea, which always strikes me as a healthy situation – fresh air lunging in from the sea, river and quayside walks. In addition, there are many squares, gardens and parks to be explored … and all for free. These are some of my favourite hometown haunts. South of the river Liffey. The Georgian buildings, which are such a feature of Dublin’s architecture, occasionally surround garden squares, once only accessible to residents. 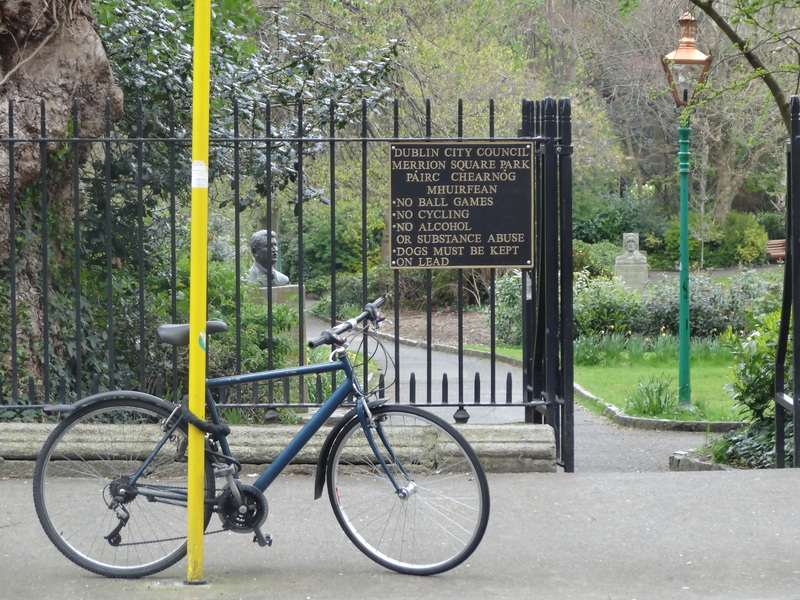 One of the most famous is Merrion Square, alongside Leinster House, seat of Ireland’s parliament. In the park, you will find statues of the famous, like playwright Oscar Wilde, nationalist Michael Collins and Bernardo O’Higgins, Chilean independence leader. 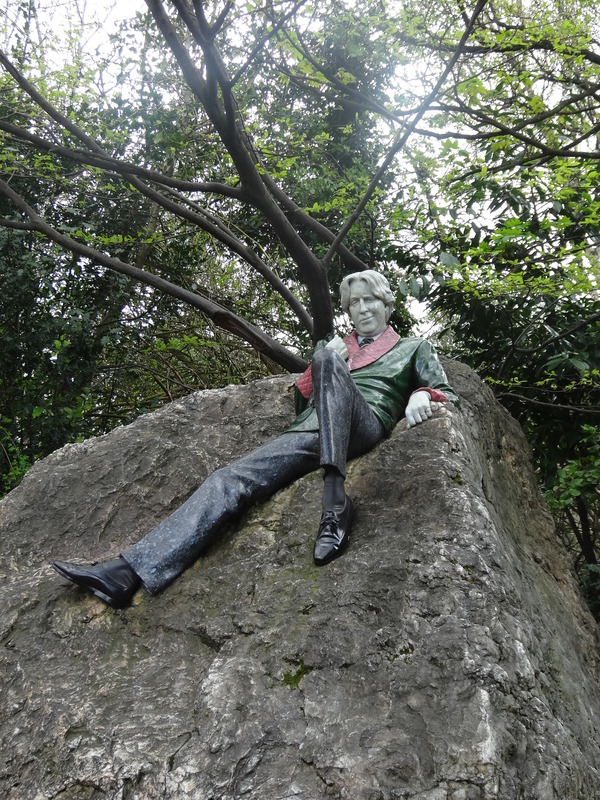 I notice many tourists dart in for a photo of Oscar’s statue but rarely venture further, which is a pity … a stroll amongst the greenery revives the spirits and invariably there’ll be some friendly banter with a Dublin “character”. It’s a surprisingly big space, and a popular park for shoppers and office workers to pause for a break or, on Thursdays, to grab a healthy bite from the Lunchtime Village Market. 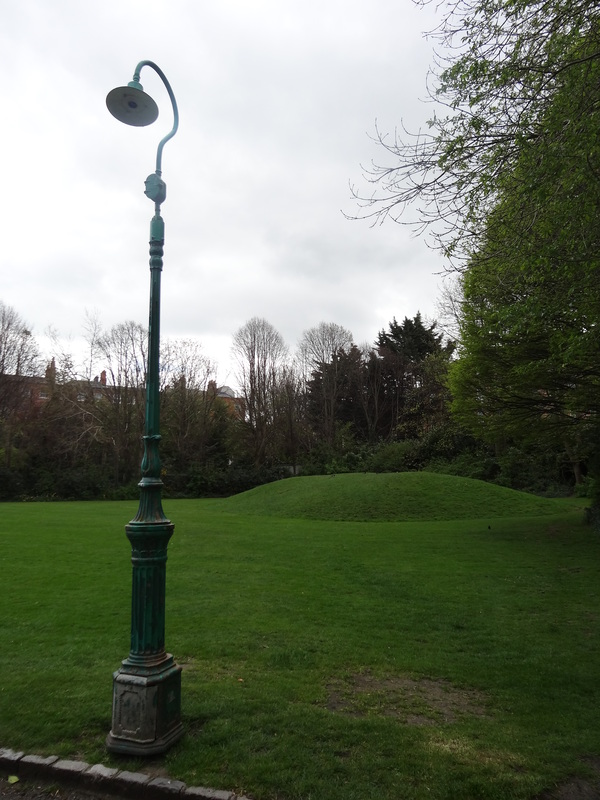 Look out for the wonderful and varied collection of old Dublin lamp posts scattered randomly along the pathways. Nearby, the well-known shopping area of Grafton Street leads to St Stephen’s Green with its large lake full of waterfowl, opened to the public at the end of the 19th century. This area had formerly been one of the three ancient common lands used for grazing, until enclosed in the 17th century for use by the surrounding wealthy residents. 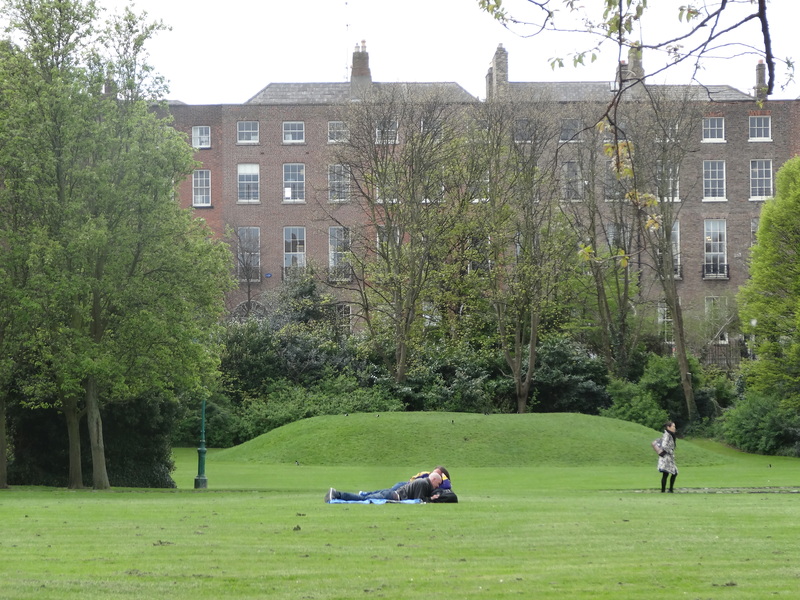 Now it is one of Dublin’s busiest city parks, available to all. 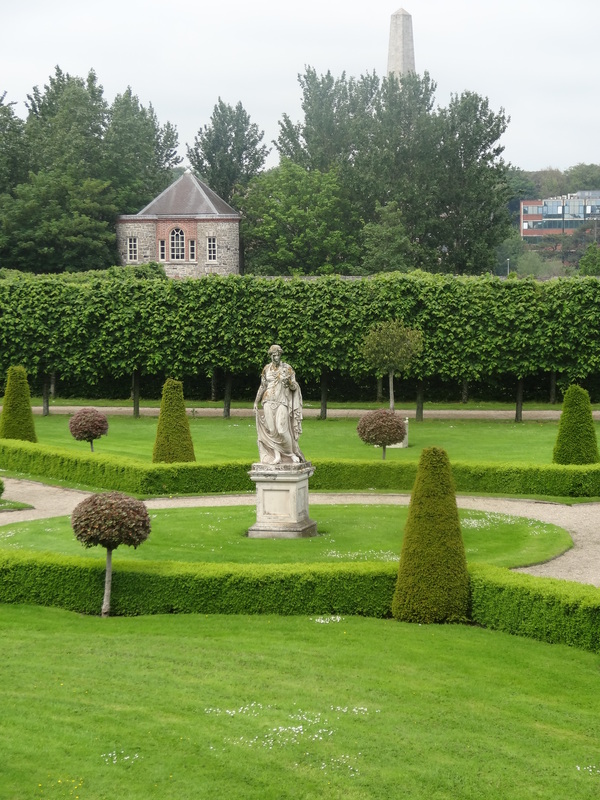 The Irish Museum of Modern Art (IMMA) at the Royal Hospital, Kilmainham, is surrounded by lovely formal gardens and parkland and certainly worth a visit. Entrance to the grounds is free, the fine topiary and classical statuary sitting comfortably alongside modern sculpture. North of the river Liffey. The area north of the river Liffey is often not explored by visitors to the city, but here you will find the oldest Georgian buildings, particularly at Henrietta Street, and the oldest Georgian Square, Parnell Square, now undergoing a transformation as Dublin’s new Cultural Quarter. On the north side of the Square is the simple beauty of the Garden of Remembrance, opened in 1966 on the 50th Anniversary of the 1916 Rising for Ireland’s independence. Nearby,The Hugh Lane Gallery is certainly worth a visit as is the Dublin Writer’s Museum,(Ireland has four Nobel prizewinners for Literature) and will soon be joined by Dublin’s new City Library and art spaces. Venture a little further north up Blessington Street, to discover the hidden gem of the Basin, a little haven in the city. 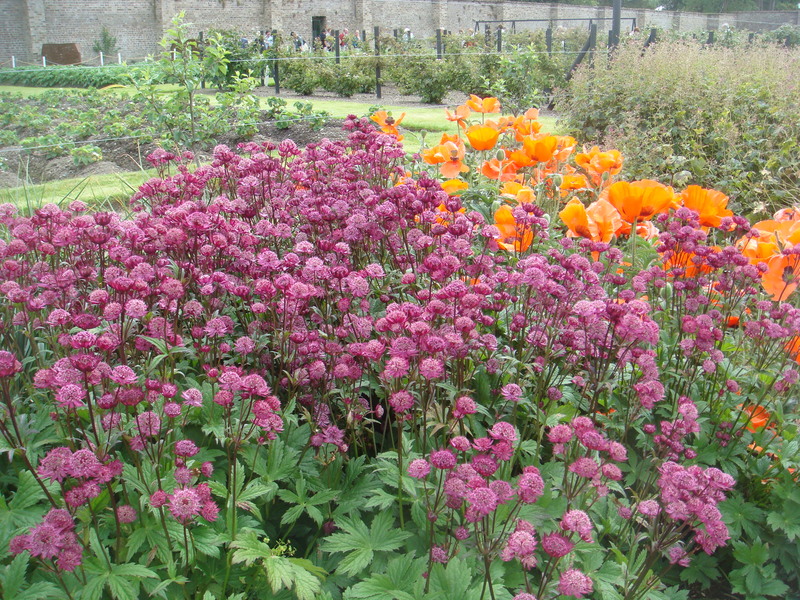 Here, on Dublin’s Northside, you will find Dublin’s finest parks, well served by public transport – the National Botanic Garden at Glasnevin and the Phoenix Park to the west. 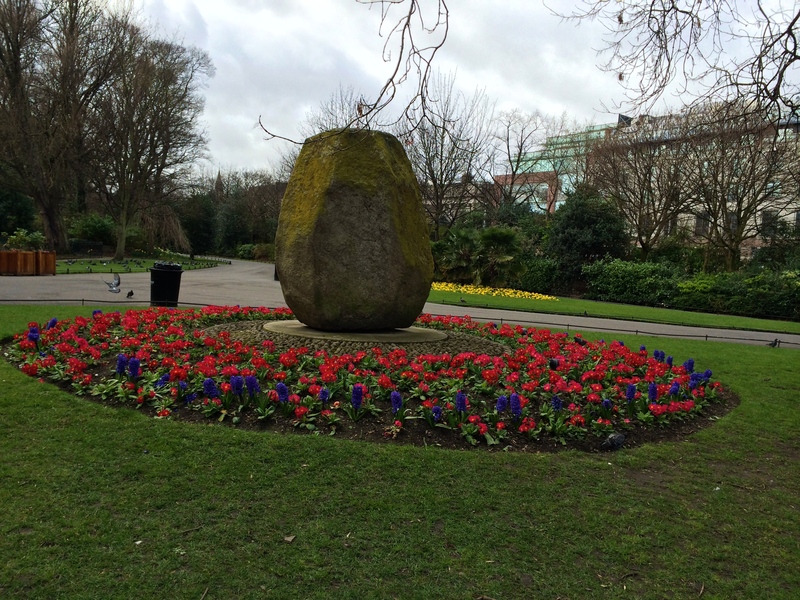 Dublin is a remarkably compact city, so many of these gardens and parks can be reached on foot. Entry to the National Botanic Garden is free, parking is currently €2. 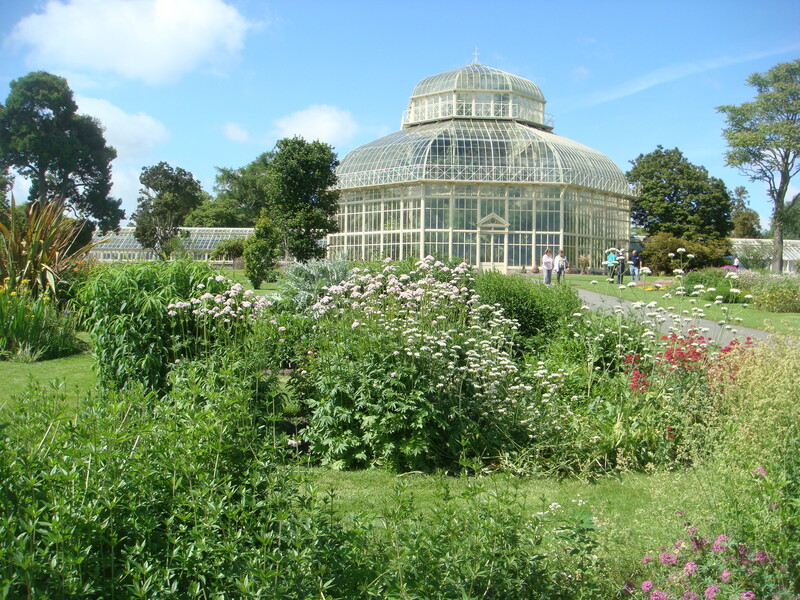 Founded at the end of the 18th century, you will find rockeries, herbaceous borders, rose garden and arboretum, along the banks of the river Tolka, as well as two very fine glasshouses,packed with orchids and cycads; beautiful for a stroll even in winter. The National Botanic Garden, Glasnevin. To the west of the city lies the extensive grounds, 707 hectares, of the Phoenix Park, one of Europe’s largest enclosed city parks, home to a herd of wild fallow deer since the seventeenth century. The residence of the President of Ireland, Áras an Uachtaráin, is situated in this parkland amidst ancient broadleaf trees. The main avenue is lit by automatic gas lamps at dusk. The inspiring two and a half acre Walled Victorian Garden can be found in the Park, growing fruit, vegetables and colourful summer flowers. On the second Sunday of the month you can meet the Park gardeners who will give advice on seasonal tasks. 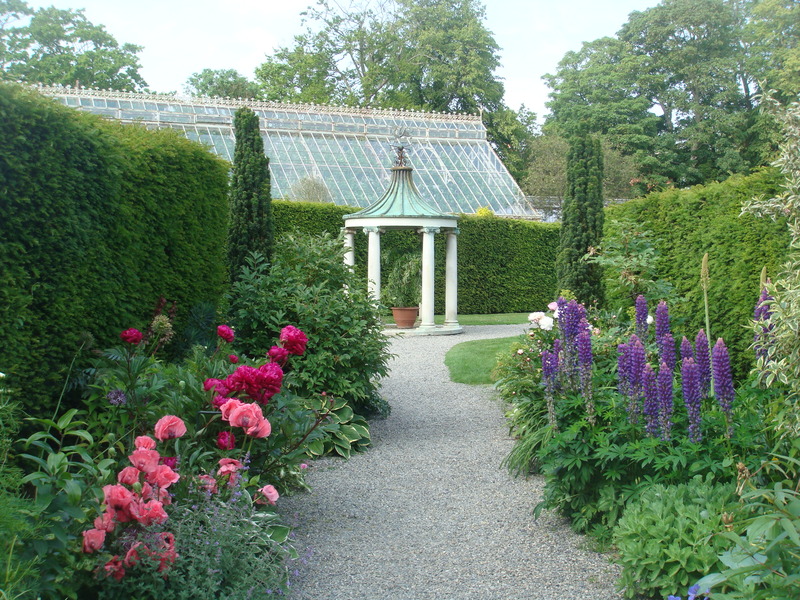 My favourite garden in the Park is at the State Guest House, Farmleigh, purchased from the Guinness family in 1999. The grounds are extensive, there’s the Boathouse Café overlooking the tranquillity of the ornamental pond, and the four acre walled garden, entered through lovely wrought iron gates. The main avenue is embraced by double herbaceous borders leading to the stone temple, with antique Portland columns, copper roof and weather vane. This is just a sample of Dublin’s many city gardens and parks open to the public and every Dubliner will have their favourites. 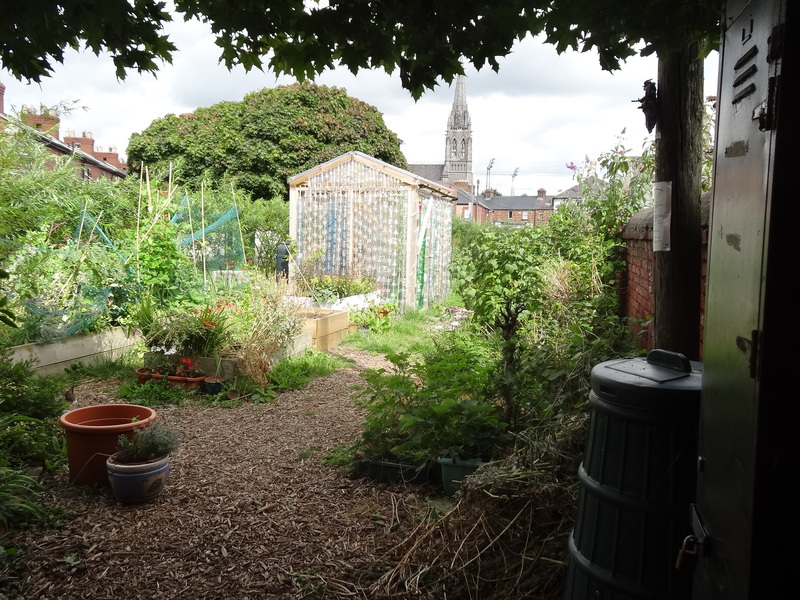 In addition there are now almost 50 Community Gardens on former wasteland across the city, growing vegetables and tended by volunteers from the community. So ignore Ireland’s fabled “soft weather” (Irishspeak for rain), buy some raingear and explore Dublin’s free and lovely open spaces. It’s the rain that makes them beautiful! 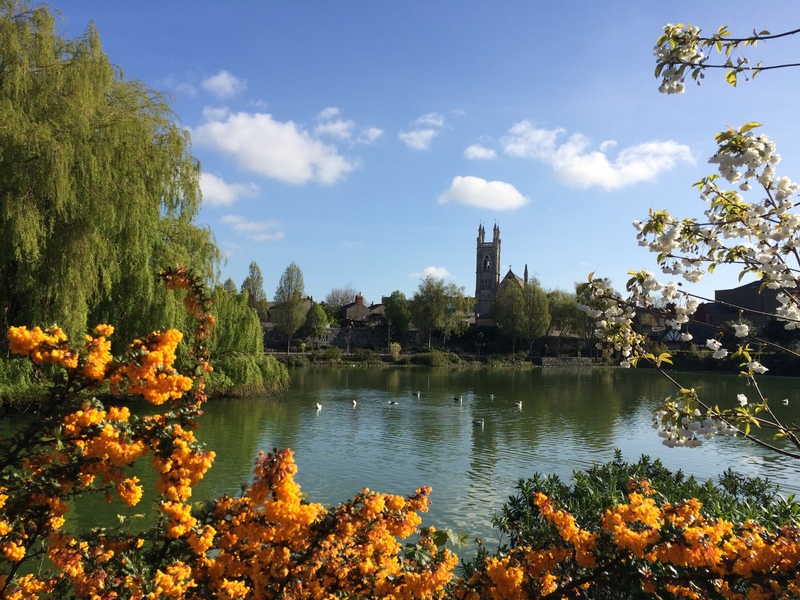 Beautiful photos and views, I especially like the one of Blessington Street Basin. Many thanks Jet. In fact I live next to the Blessington Street Basin when I’m in Dublin! A pleasure! Glad you enjoyed them. Wonderful sites, Lorna! Gotta love that they’re all free! 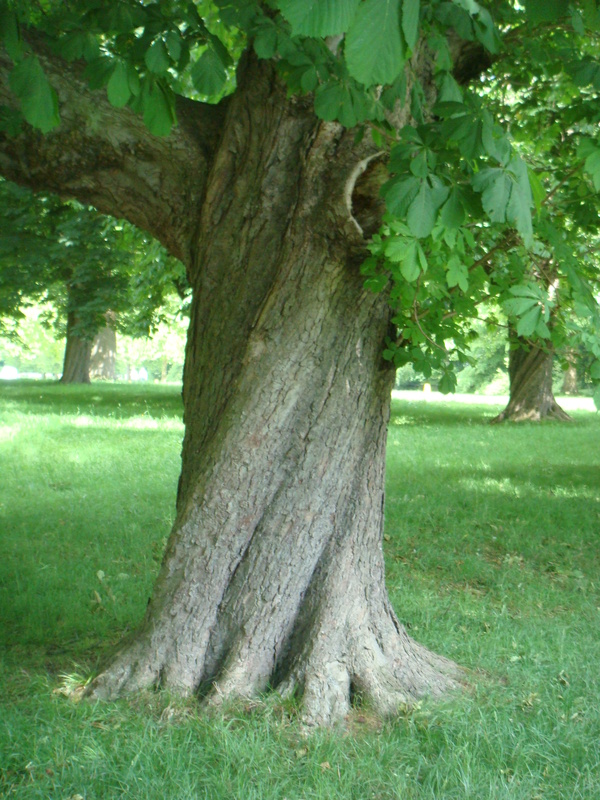 😀 I love the twisted trunk of that tree in Phoenix Park, and the photo of Blessington Street Basin is gorgeous! Many thanks Julie. We are so lucky in Dublin to have access to Art Galleries, Museums and parks and gardens like these for free. Glad you like the Basin – my daily view! A pleasure! I really hope you manage that visit. I know I’m biased but it really is a compact, friendly city with lots of open spaces. I didn’t realize what a delightful and unexpected journey this post would become! Beautiful gardens. 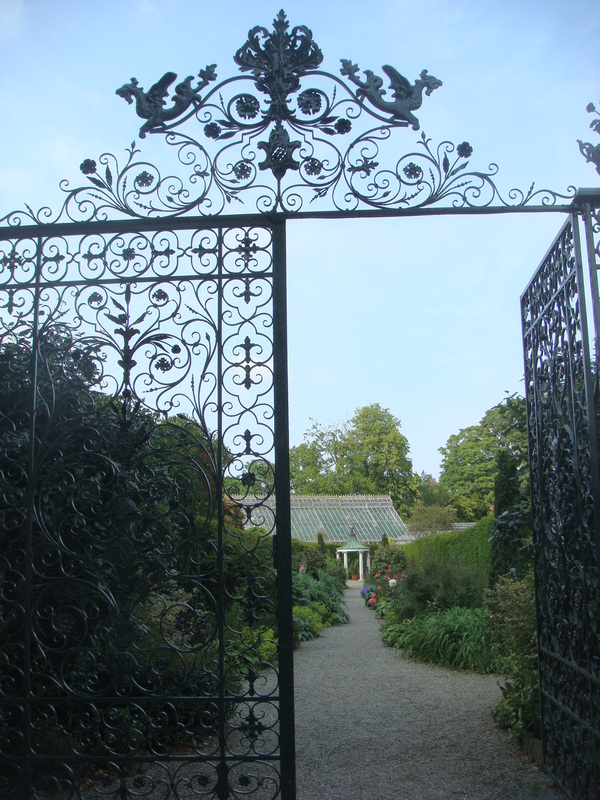 Many thanks Cindi – glad it proved interesting; so many lovely gardens are missed by visitors to the city.